Why Sow Seeds to Fight World Hunger? Seeds Fight HungerGardens give nutrition, income, and self-reliance. Crisis RecoveryAfter disaster response: what’s next? LivelihoodGardens grow income for education, medicines, tools. Women’s EmpowermentWomen with resources and power can transform lives. Success StoriesTiny seeds that made a big difference. Partner OrganizationsSPI partners guide the way from planting to harvest to utilization. Where SPI Seeds Come FromWe help top-quality vegetable seeds find new homes. Where SPI Seeds GoView a world map with our project links. Half the world still lives on less than $2 per day. On this budget, it can be impossible to sustain life. Malnutrition in the developing world causes dire consequences for nearly a billion people, 60% of them women and girls. Yet, there is hope for change as the majority of those who are hungry are farmers by trade, but lack the resources to grow their own food. In many developing countries, women in particular are well-positioned to lead families and communities out of malnutrition and poverty. 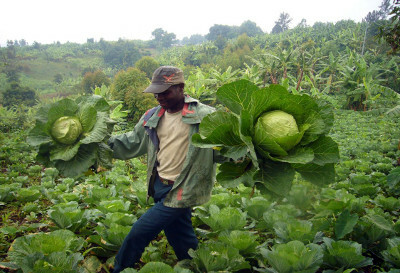 Hunger is overcome when people are empowered to produce their own food. Seed Programs International provides quality seeds and critically-needed expertise to impoverished communities in developing countries. The strategy initiates a cycle of self-sufficiency that gives people resources they need to feed themselves. Extra vegetables are readily sold to bring household income. Gardeners are then able to cover school fees and supplies, garden equipment, and healthcare, furthering their ability to overcome poverty. With SPI’s investment in their futures, people around the world are achieving better lives—for their families and their communities. Signup with your email address below to receive our quarterly e-newsletter. SPI is operated by individuals with over 50 years seed industry experience plus over 20 years experience in vegetable research and production. We also have 15 years experience operating programs that have successfully shipped seed to over 70 countries on five continents. SPI has shipped enough seed to plant over 1,000,000 vegetable gardens, providing more than 20 kinds of vegetables that are rich in vitamins and minerals often missing in people’s diets. Copyright © 2019. Seed Programs International.